This little guy was giving to me yesterday. I was told she is 8 month old. 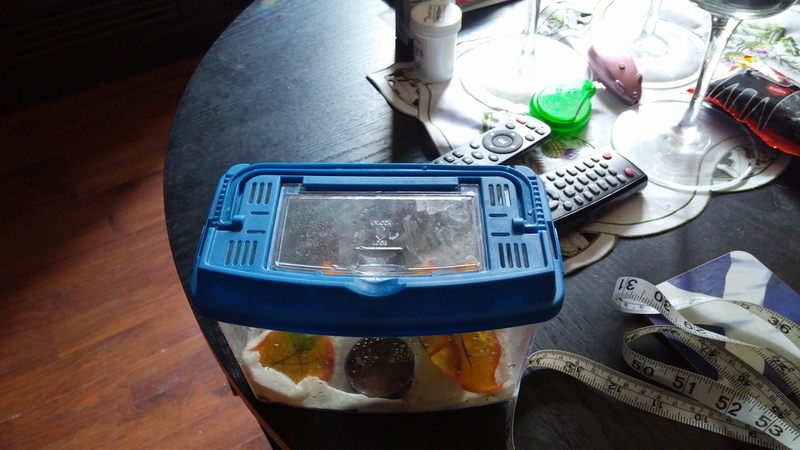 She came in a little Critterbox which is 6.5 inch long and 5 inch high and 3 inch deep. I measured her and she is 2.5 inch long from nose to vent and with tail 4 inch long. I couldn't weigh her yet. She is so small to me because my Lily is so big. I not so familiar with the geckos yet but I din do a lot of reading about them. So maybe you guys could tell me or give me some pointers I should look into. Is she really 8 month old or do you think she is younger. Could I put her into a bigger Critterbox or should I leave her into the one she is in now. When do you thing it would be alright to put her into a dropper Exo Terra terrarium? Is it alright to handle her a few times through out the day? 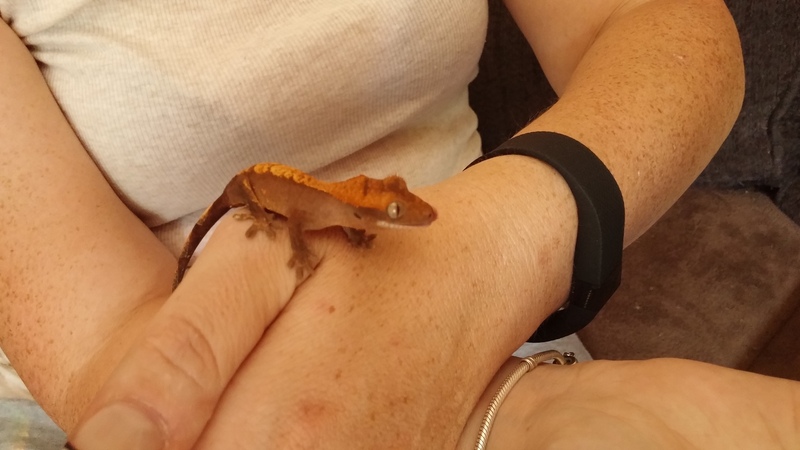 Crested Geckos (Correlophus ciliatus - previously called Rhacodactylus ciliatus) are a New Caledonian species. As we are only permitted to keep Australian species, you probably won't find many people here that have any experience with them. 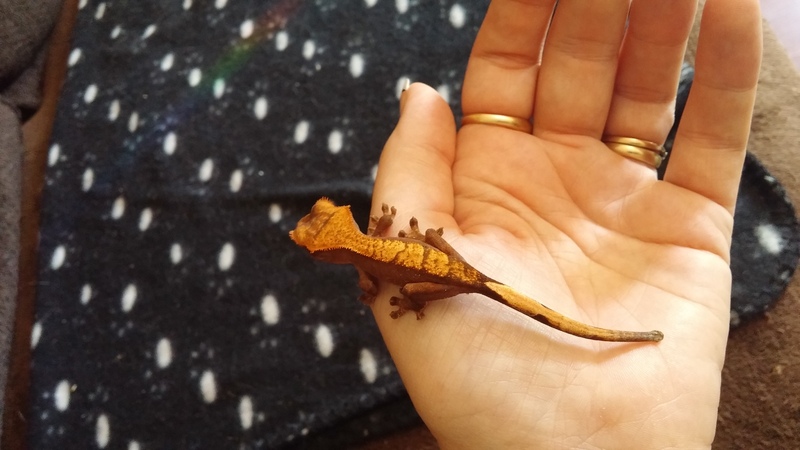 There is still the chance that an international member may chime in, though I haven't seen cresties mentioned here before. This looks like a reasonable starting point for some info. Although we cannot help you too much with this species, thanks for sharing. 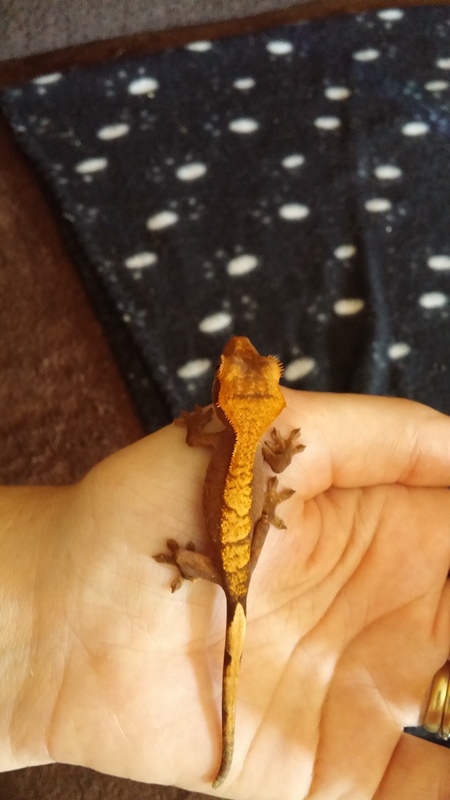 What an impressive looking gecko Im sure these guys would be very popular amongst keepers here in Aus if we could keep them. that is super cute!!! We miss out on so much!